We are pleased to announce a gorgeous litter of 6 first generation Springerdoodles (aka Sproodles) born December 2nd. Based on their 43 pound English Springer Spaniel mom (Martha Rose) and 38 pound Standard Poodle dad (Duke), we expect this litter of puppies to be 35-50 pounds full grown. These gorgeous Springerdoodle puppies are incredibly sweet and get along with everyone they meet! We believe they will make outstanding family members for a few fortunate forever homes. Poppins is a pretty Springerdoodle with a gorgeous blend of chocolate and white in her coat. She loves to play outside with her brothers, yet she still carries herself like a little lady. Poppins is a great pup and we know that she will be a wonderful companion! Polo is a handsome little guy with a dark chocolate and white, wavy coat. He is a cheerful pup who gets along great with both his doggy and human families! He is loyal, loving, and will be a wonderful furry family member. Patches is an eye-catching Springerdoodle with a happy-go-lucky personality. He has a visible love for his family and is the embodiment of "bundle of joy!" He will make a wonderful addition to any forever home. Perri is a captivating Springerdoodle with a very sweet personality! 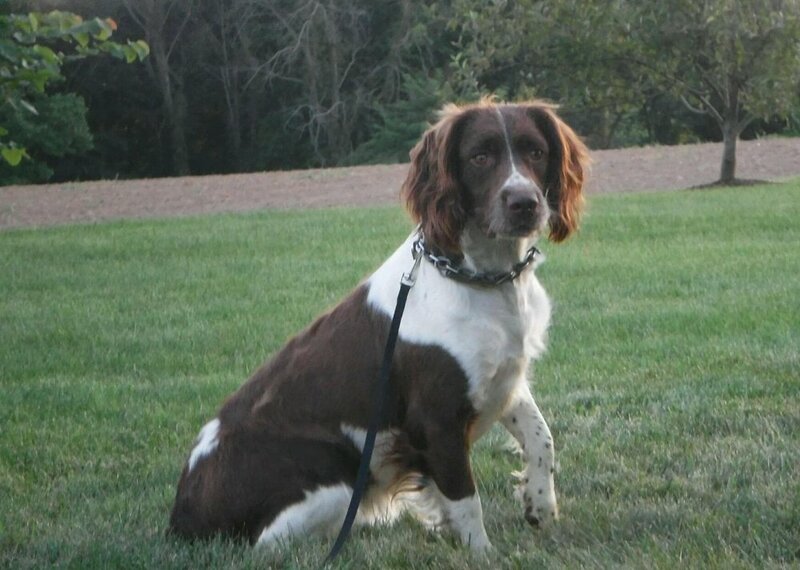 He has a soft, beautiful chocolate and white coat with distinguishing markings on his face. He is also very intelligent and loves playing with his siblings! Pixel is a lovable little Springerdoodle with adorable freckles on his muzzle. Pixel’s coat is a handsome chocolate and white color with just the right amount of wave. He is affectionate, fun and will love being your new best friend! 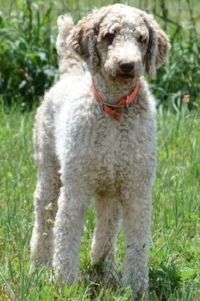 Pongo is an adorable, sweet chocolate and white Springerdoodle with a fun personality. He enjoys playing with his siblings and will make a fantastic furry family member!